You need the latest data for that important business presentation – due in a couple of days. But accessing and transforming data is not at the top of your skillset, especially when the data resides in several locations, in the cloud and on-premises and your go-to data analyst team has a plate full of requests. Kind of makes you want to channel a power user of data transformation and visualization tools. How easy it would then be to explore and interpret data with confidence, gain fresh insights into their meaning, and incorporate them into compelling presentations. You’re in luck. 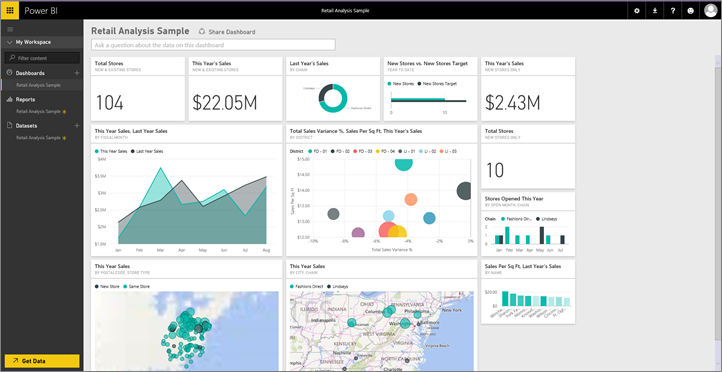 Power BI is a cloud-based business analytics service that enables anyone to visualize and analyze data with greater speed, efficiency, and understanding. And you can sign up to use Power BI for free. 1. Get data in a few clicks. Connect to a data source in minutes. Click Get Data in the navigation pane. Then pick a data source: content packs, files, databases, or samples. 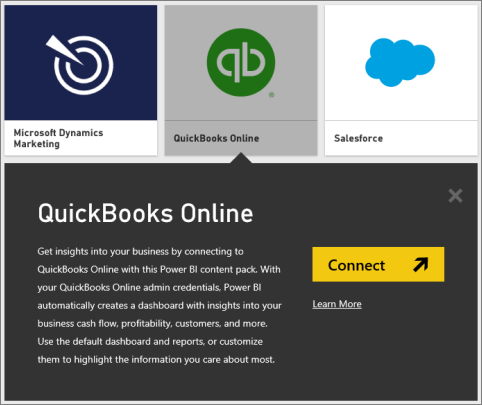 The data source can be from within your organization–on-premises or in the cloud–or from an online service, such as Microsoft Dynamics, Salesforce.com, QuickBooks Online, or Google Analytics. Data connection made simple. 2. Create a Dashboard. A dashboard shows on-premises and cloud data on a single canvas. Dashboards present a consolidated view of data no matter where it lives. Each tile on the dashboard displays a visualization created from the data in one or more datasets. 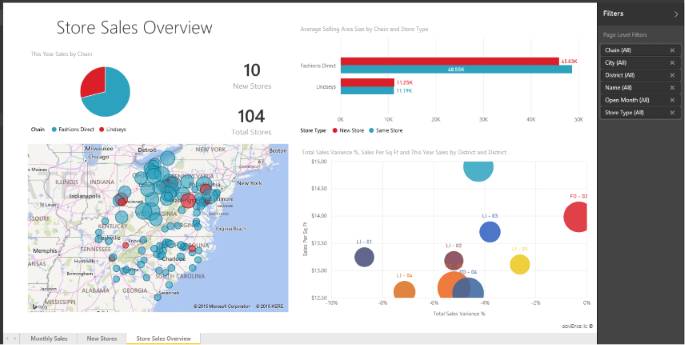 When you first go to Power BI, you see a sample dashboard for retail data. Want to create a new dashboard? Easy. Click the plus sign next to the Dashboards heading. Type a name for your new dashboard. Connect to a dataset. 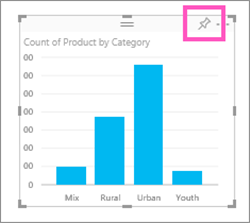 Use data from reports or datasets already in your Power BI, or add a new data source. Pin the tile to the dashboard. You’re free to resize, move, delete, or rename any tile. Play around with the sample dashboard and dataset that come with Power BI. Create a data canvas masterpiece. 3. Share your dashboard. Want to share your dashboard work of art with your colleagues? Of course you do!To receive your Power BI dashboard, your colleagues must first sign up for Power BI (it’s free). To share your dashboard with colleagues, select Invite and type the colleagues’ email addresses in the top box. Do you want to allow them to reshare your dashboard with others? Click the checkbox. Then click Share. Your colleagues receive an email invitation with a link to the shared dashboard. 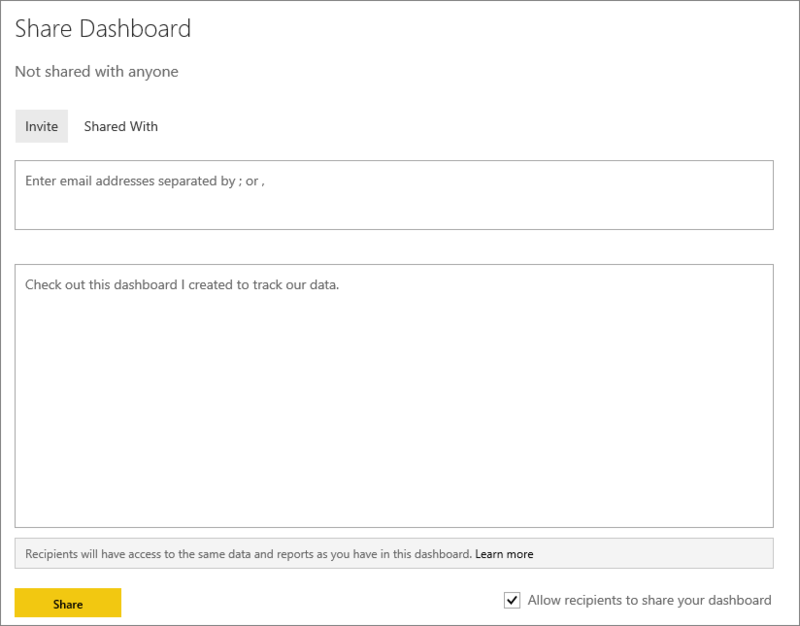 When they click the link, the dashboard is added to their Power BI dashboard. Your dashboard could go viral. 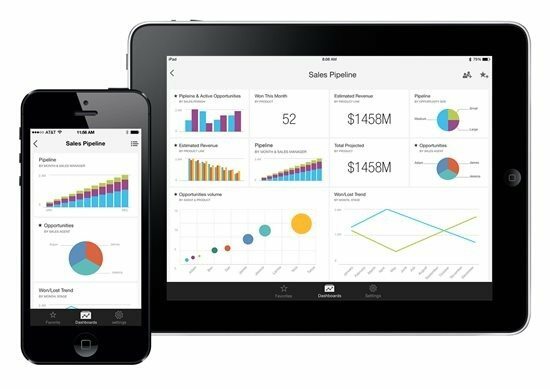 4. Review a dashboard from your mobile device. Maybe a colleague sent you a link to a dashboard? Now you can access it on your mobile device. You can explore the data, annotate tiles, and share them with others—from anywhere.There’s a Power BI app for iOS and Android devices. The Power BI for Windows app runs on all Windows 8.1 and Windows 10 devices, such as your cool Surface Pro tablet. 5. Ask your data questions.You’ve heard the expression, “Let the data speak for itself.” Well, sometimes the fastest way to get an answer from your data is to ask a question. With Power BI you can query your data using natural language.Type something into the question box on the dashboard. For example: 2014 sales by month and territory as stacked bar.As you type your question, Power BI picks the best visualization to display your answer. The visualization even changes dynamically as you revise the question. Awesome! 6. Create stunning reports.Use Power BI tools to wow your colleagues with a multi-perspective view into your data. Have different visualizations represent different findings and insights, using a single visualization or pages full of visualizations. To create a new report, select a dataset to open, or right-click it and select Explore. Explore your data and add visualizations. Pin your visualizations to your dashboard. To pin the visualization, select the pin icon. 7. Share your reports with colleagues.Instead of emailing reports to your team, create the reports in Power BI and publish them as a content pack. Content packs appear in the content gallery, accessible by allowed colleagues. 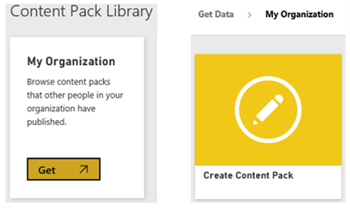 Content packs have all the Power BI features: interactive data exploration, new visualizations, natural language questions, and integration with other data sources. 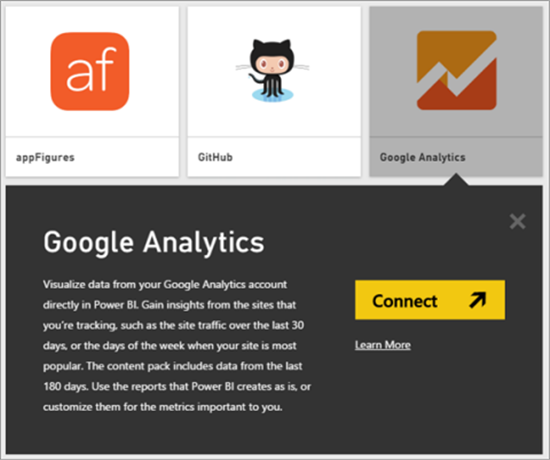 Power BI enables anyone to get actionable insights from any data, anyway and anywhere. 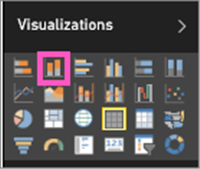 It takes less than five minutes to start creating personalized dashboards and reports on data, use natural language to find answers, and create appealing visualizations that you can easily share with colleagues. Sign up for free and get in touch with your inner power user now!